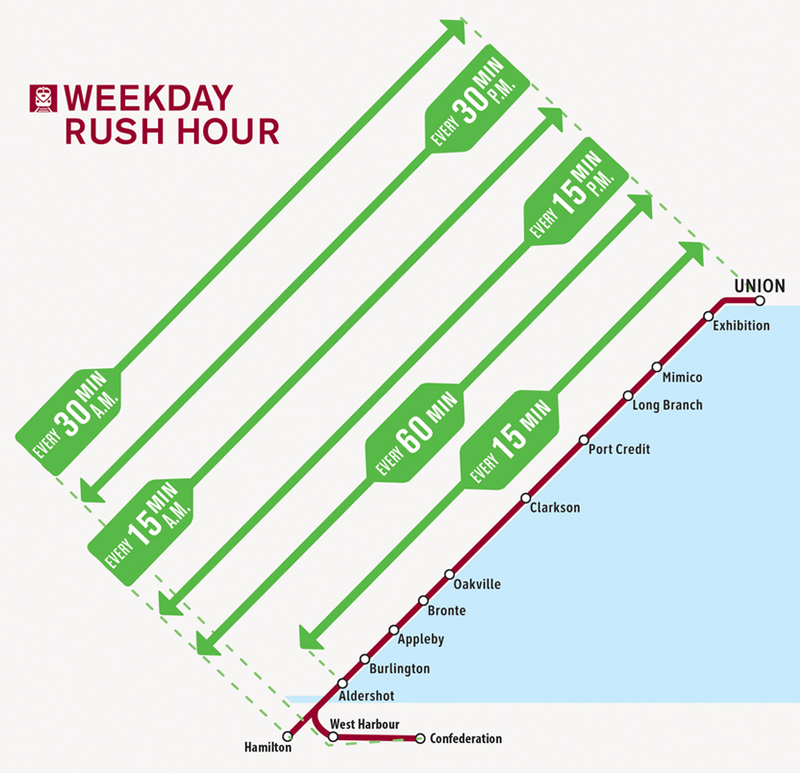 Today, GO Transit’s Lakeshore West line provides two-way, all-day service seven days a week between Toronto and Aldershot*. 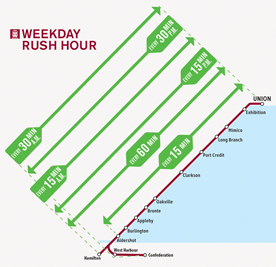 It also provides weekday rush-hour service from Hamilton to Toronto in the morning and back in the afternoon. 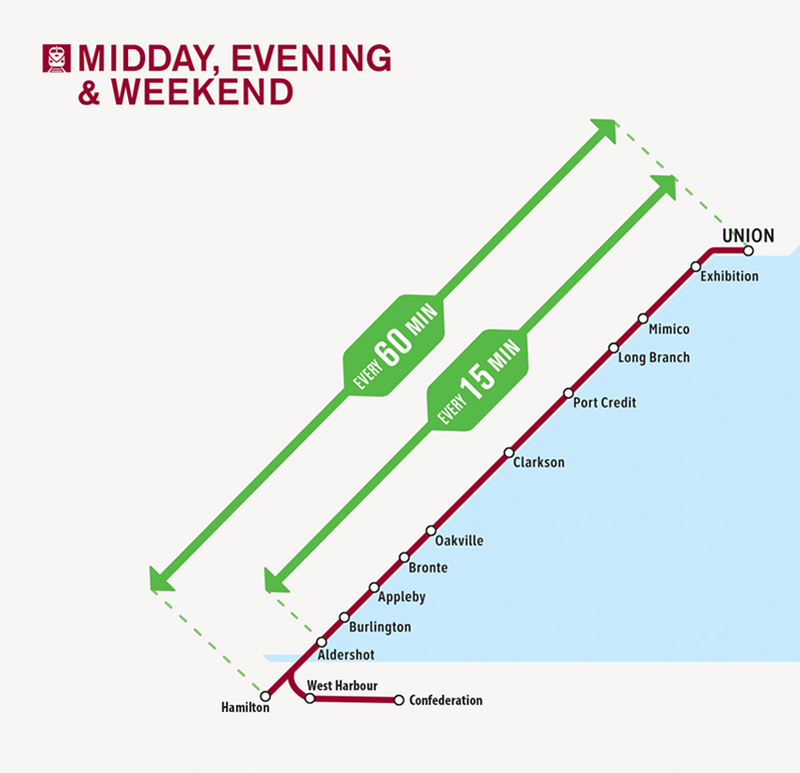 Through its Regional Express Rail project – better known as GO expansion – Metrolinx is already starting to transform the existing GO rail system from a commuter service to a whole new rapid transit experience for your community. With 15-minute service or better all throughout the day between Toronto and Aldershot* and new hourly service to and from Hamilton seven days a week, you’ll have more options to get you where you need to go. 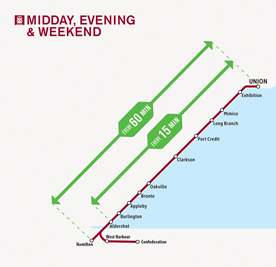 *Service levels west of Burlington GO Station, including service levels at Aldershot, are dependent on infrastructure and service agreements with CN, who owns the rail corridor. Final plans may vary as the 10-year program evolves. **Express service will be offered between Oakville and Union Station.